A few helpful guidelines when contacting us. When inquiring about specific images and to help provide the best information to you, please provide the image name and or the Image ID’s. You will find the image ID along with each image when viewing. The ID is represented alpha/numerically. Example: FHSP_4756. This alpha/numeric ID may contain from 2-4 letters and 4 or more numerals. Many ID’s are similar but each is unique to each image. You or your companies name and contact information. The format of publication. (Print or online). Placement of image in the publication. (Cover front or back, inside pages, website). For print, state the total number of print copies you are anticipating. For general inquiries, please be as specific as you can. We try hard to reply within 24 hours. If we are traveling replies will take longer. We are completely responsible for the experience you have when working with us. We don’t actually have a magic wand but we will do our very best to help with any questions, concerns, or issues that you may have. Many questions may arise before any purchase takes place, we understand. Our years of experience with the work we produce may help answer many questions. Our support and help do not end after the purchase. We will always be available to answer any questions. We want you to be completely satisfied before, during, and after any purchase you make. We actually insist on it. Your purchase of any fine art print on archival papers, canvas, canvas gallery wraps, or any custom piece you purchase includes our lifetime guarantee never to fade in color or print quality. 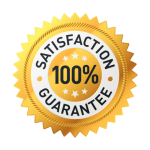 In addition to your lifetime guarantee of quality, your purchase comes with a 1-year satisfaction guarantee. If you are not satisfied with any piece for any reason you may return it within 12 months for a full refund. That’s right, you can return a piece at any time within 12 months from the date of purchase for a full refund. There is no catch, but there is a stipulation. The art you return needs to be in the same condition it was when you initially received it. Please contact us before you ship any item back for a refund. When shipping art tremendous precautions must be made to ensure it is not damaged. If you return a piece for a refund you are responsible for the packaging and shipping costs. If we receive a piece that has been damaged during shipping we will not provide a refund. Please package and ship all items the same as you received them. It must be in the same condition as when originally purchased. If you receive a piece and it was damaged during shipping from us to you we will immediately replace it at no cost to you. You simply need to provide a picture of the damaged piece. We can not refund a purchase if the piece has been damaged after you receive it. Shipping available to Canada and overseas. Rates based on weight, package size, and destination. Contact us for available rates.